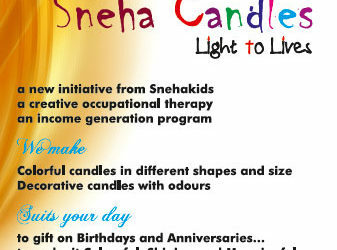 Snehasadan Family is completing its 15 years of service to the Orphan and Vulnerable Children in the society. Snehakids are the focus point of Snehasadan today. Snehasadan so far has served around 184 children in 15 years of its history. Some of them are working in different parts of the country, while some others are continuing in their studies. 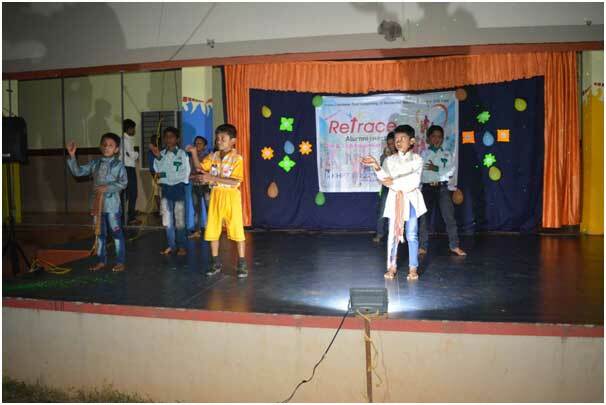 Snehasadan took an initiative to organize a special programme called “Retrace”, in collaboration with KHPT (Karnataka Health Promotion Trust). ‘Retrace’ is a gathering of Snehakids – Alumni Meet. The word, Retrace means to go back over to discover and follow to trace back to its source or beginning. We tried to gather together all our former students who were part of this house. Most of them responded positively to our invitation, whereas some of them could not make it because of various reasons and other commitments. This kind of attempt is made first time, not only in the history of Snehasadan alone but in Karnataka as well. We contacted more than seventy five students, out of which twenty four of them attended the programme. The “ReTrace” camp was for two days arranged in Snehasadan. We had four resource persons namely Bro. Madhu MI, director of Snehakiran, Hyderabad, Sr Briget, counsellor from KHPT, Mr Sijil, Programme manager KHPT, and Mr Rayan former Counsellor of Snehasadan. We began with an informal inauguration. Fr Teji Thomas MI, the Director of the centre welcomed all in the presence of Fr. Russel Jacob MI, the administrator and the resource persons. Ms. Gopika, the programme coordinator of Snehasadan and Mrs. Prema Pinto, the Nursing in charge of Snehasadan were the persons contacting them since two months. On the first day we conducted different sessions for children. We began with ice- breaking session, sharing the life experiences, Interaction with former staff and children, Fun &amp; Games, ART Adherence, Importance of Periodical check-up, and Group Therapy. Evening we had cultural programme of Snehakids and the members of Retrace too added colour to it as they took part actively in programme. On the second day we began with Prayer, Msgr Very Rev. Fr. Dennis Moras Prabhu, the Vicar General of the diocese of Mangalore, presided over the Holy Eucharist. Rev. Fr Jaison, the Vicar Provincial of Camillians-India, Rev. Fr. Joy Inchody MI, the former Director of Snehasadan, Rev. Fr. Sunil MI, the novice Director, Rev. Fr. Russel, Administrator, Rev. Fr. Sibi MI, medical student and Rev. Fr Teji MI were the concelebrants. 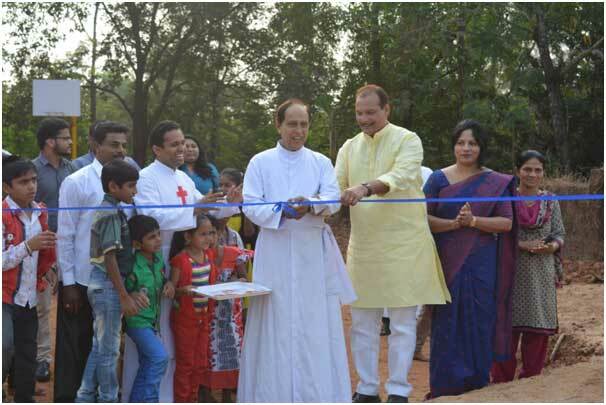 The Prayers followed the inauguration of the new Basket Ball court by Mr. Ivan D’souza, MLC and chief whip Legislative Council Government of Karnataka and Dr. Kavitha D’souza. After the breakfast Mr. Rayan began with the session on carrier guidance and the life in the future. It followed the sharing and discussion in the group. They have come up with the idea of having similar programs in the future and they were given the idea of animating among themselves. Retrace was concluded with a picnic to Thannirbhavi Beach. Majority of the Snehakids alumni expressed their feelings of gratitude and happiness for arranging such an event. It was a jouyful day as the Snehakids alumni were present here in the centre for Retrace camp. Msgr V. Rev. Fr. Dennis Moras Prabhu, Vicar General-diocese of Mangalore, presided over the Holy Eucharist. Rev. Fr Jaison, Vicar Provincial, Camillians-India, Rev. Fr. Joy Inchody MI, former Director, Snehasadan, Rev. Fr. Sunil MI, the novice Director, Rev. Fr. Russel, Administrator, Rev. Fr. Sibi MI, medical student and Rev. Fr Teji MI were the concelebrants. The Prayers followed the inauguration of the new Basket Ball court by Mr. Ivan D’souza, MLC and chief whip Legislative Council Government of Karnataka and Dr. Kavitha D’souza. (He sanctioned 2.5 lakh for the construction). District Panchayath, Taluk Panchayath, and block Panchayath officials and local leaders were present for the program. Mr. Stephan Maroli nominated corporator of mangalore city cooperation was honoured. Many invited guests were present for the programme. Ms. Gopika K, coordinator Snehasadan, expressed vote of thanks and breakfast was served to all. Cultural programmes performed by Snehakids were a good treat to the people present for the programme.